Pros On Call Locksmiths resolve minor and major problems that affect automotive keys and that includes your push to start car keys. Duplicate push to start car keys. We are available 24/7 so call us anytime and get the help you need at competitive and upfront rates. 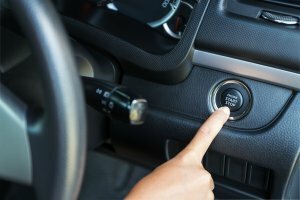 If your car doesn’t operate after you use the button that is meant to start your engine, you’ll want to consider working with our automotive locksmiths. Because all of our team members have been in the business for over five years, we know how to fix your car key problems quickly. Plus you can always count on competitive and upfront prices, even for all types of car key replacement services. The days of inserting your car keys in the ignition to get it started are over. Contact us today and schedule an appointment for traditional or emergency locksmith services. Before you get out of the car, ensure that your car is turned off. If you leave your car in a garage this will help prevent the risk of carbon monoxide poisoning. Don’t forget to use your parking brake when you turn your car off so that it does not roll away. Pay extra attention to the location of your key fob, as it may be easier to lose track of when you have a push to start system. Check out this vehicle safety guide to learn more about your push to start car key. 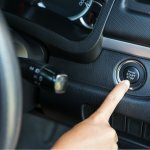 Push To Start Car Keys https://prosoncall.com/locksmith/automotive/push-to-start-car-keys/ 4.0/5 based upon 16 reviews.